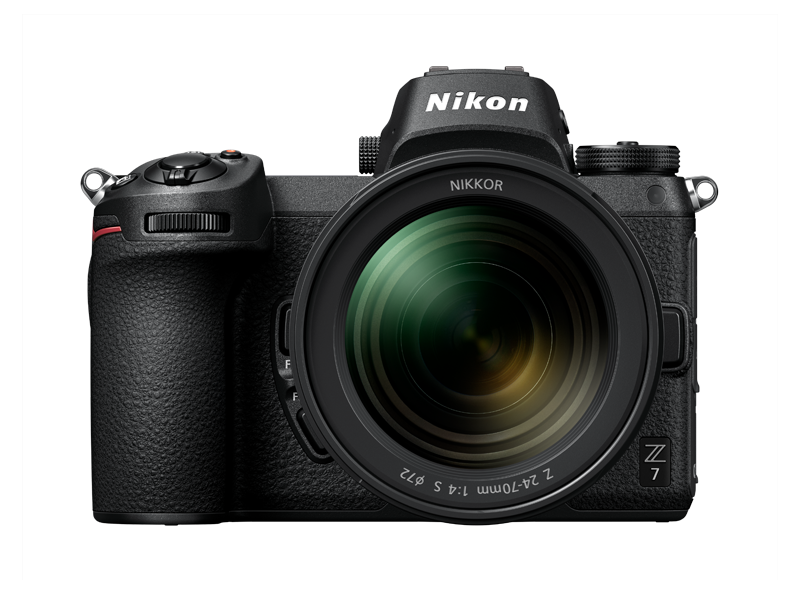 Nikon has entered the professional mirrorless camera market with the release of the Z6 and Z7 cameras and a new lens mount. I recently sat down with my good friend and fellow Image Doctors Podcast host, Rick Walker, to chat about our thoughts on the new Nikon Z Mirrorless system [see specs] that was announced recently. These discussions are a really great way for us to see how we each view new cameras and imaging technologies and how they fit in with our current photographic styles. Before we get into it, we just wanted to mention that there is a TON of talk out there on discussion boards and social media sites regarding the new Nikon mirrorless system, the Nikon Z. Neither of us have even seen one of these cameras in person, and as of now even people testing them are still using pre-production models. As such, we are not willing to discuss or speculate on any performance features of these cameras until they become available to the general public. It would be wholly inappropriate for us to discuss or speculate on features that we haven’t actually tested in person. Ok, enough of that… let’s sit down and talk mirrorless cameras! Rick Walker and Jason Odell sit down to discuss the new Nikon system announced last week. Before we begin, it’s always good to know about a photographer’s personal preferences – the types of photography they enjoy, what their shooting routines are like (including post-processing), and the value they place on different aspects of equipment. Will each of you give us a brief summary of your thoughts on those subjects? My first two loves in photography were landscape and travel photography, and they remain at the top of my list. Although I don’t do it quite as often as the other two, I also enjoy wildlife photography. You can see a little of the kinds of subjects I like to photograph on my website (www.geovistaphoto.com). Like most other people, I also do a lot of photography of family and friends, although those are on private websites. I’m not a high volume shooter. I tend to take fewer photos than others in similar situations. Somewhat related to that, I don’t often use the higher speed frame rates with my cameras; it’s rare for me to shoot on the Continuous setting. The things I value most in equipment include a directness and simplicity in the controls (I dislike having to dive into menus to make critical settings), relatively manageable sizes without extreme weight, and a certain solidity in construction. I don’t like plasticky feeling equipment, even if it performs okay. Both my parents had Nikon SLRs when I was growing up, and I spent many hours poring over the pages of National Geographic and wishing I could be a wildlife photographer. Photographing wildlife is still my favorite thing to do, but in the last ten years I’ve also fallen in love with all kinds of creative photography, including landscapes, long exposures, and more recently, leading photo tours for travel photography. I want to come back from a trip with images that not only spark memories, but also make people feel like they were there with me. I got into digital photography somewhat late (2005), because I wanted my DSLR to match the features of my then SLR, the Nikon F5. As such, I waited until the release of the Nikon D2x before I jumped into digital. I quickly got rid of all of the film in my freezer and I adopted a RAW-based workflow from the onset. I’ve always used the Nikon system; I appreciate the ergonomics and design and currently I shoot the Nikon D850. I think it’s bar-none the best all-around DSLR (if not overall) on the market. Before we get into the new Nikon system, give us your thoughts on where mirrorless cameras fit in with your photography. Are there particular strengths and weaknesses of mirrorless cameras, and what kind of photographers will benefit most from them? I have almost always had a secondary, smaller camera system that paralleled my larger Nikon system. Initially, those were film-based rangefinders, and then I transitioned to mirrorless digital cameras when micro 4/3 came on the market. I currently use Olympus, Fuji APS-C and Fuji medium format mirrorless systems in addition to my primary Nikon equipment. All of the above are really good, with differing strengths and weaknesses. Frankly, everything on the market right now is extremely good right now and picking out which to use and which you think is best is very much a “first world problem”. It just comes down to personal preferences and what resonates more with you as a photographer. What do I like about all these cameras? First and foremost, if you’re smart about how you use them, you can save some size and weight. That’s helpful when you’re traveling or out in the field. The biggest size and weight savings are clearly with the micro 4/3 system, and they start eroding as you increase the size of the format. Much of that is due to lenses for full frame or medium format systems remaining fairly large and heavy. The other thing I enjoy is the high quality EVF in the cameras I own. Once the EVFs got above 2.3M-dot resolution with higher refresh rates, life was good. The combination of live histograms in the viewfinder and their “what you see is what you get” nature eases exposure with challenging subjects. In addition, shooting in black and white or alternative color palettes can be helpful for visualizing how an image might look, even if it’s all still a matter of raw processing at a later stage. Finally, most of them are relatively quiet, with lower amounts of vibration than DSLRs. What don’t I like? The native lens selections are still relatively small compared with DSLRs. While you can easily adapt non-native lenses to mirrorless cameras, their operation is usually far from fluid. In addition, there are issues that show up in post-processing, such as the automatic application of lens profiles for correcting distortion. I find adapters more cumbersome and irritating than fun, but I know of others who feel the opposite and relish using quirky lenses from the 1960’s and other periods. Who can benefit from mirrorless? This answer is a bit circular, but it’s anyone who can appreciate their virtues without getting too annoyed at their limitations. I think they can work well for landscape, travel, and family photos. Wildlife photography can be fine as well, depending on the subject matter and specific camera. Birds are more challenging than large mammals. Sports and action photography with mirrorless is heavily dependent on the specific camera, with most not being up to the DSLR level of autofocus performance. My feelings on mirrorless cameras align fairly well with what Rick has said. I ask myself the question, “what can this camera do that my DSLR cannot?” Image quality aside, it comes down to the electronic viewfinder and rapid frame rates, neither of which are possible with a DSLR. As Rick pointed out, if the EVF system is good, then you have some real opportunities for better photos, because all of the features that normally require looking at the back of the camera, like virtual horizon, live histogram, are right there in the viewfinder. I strongly prefer using the viewfinder when I’m taking photographs, as I’m able to better concentrate on my composition. Mirrorless camera systems are also ideal for capturing landscapes with today’s high resolution sensors. When you do away with the mirror, you eliminate the potential for mirror slap causing soft images at slower shutter speeds. In fact, I often use my Nikon D850 in live-view mode with the electronic front curtain shutter enabled when I’m photographing landscapes, making it a de-facto mirrorless camera. In theory, mirrorless cameras should be capable of extremely high frame rates, too. While a lot of people talk about form factor (size) when discussing mirrorless, I find this to be a bit of a red herring. While the camera bodies are indeed smaller, the overall size and weight of lenses is the same (or even larger) than what I carry with my D850 or D750. It’s only when you get into the much smaller sensor formats where the overall kit size really becomes noticeably smaller. Mirrorless cameras are also perfect for shooters who need to “run silent.” If you shoot weddings or golf, the ability to get true silent shooting opens up a lot of creative possibilities. Do either of you currently use mirrorless cameras as part of your regular kit? Yes, I do at least half of my photography with mirrorless cameras today. It’s been a while since I’ve used my DSLRs for travel photography; the Fuji APS-C cameras are what I mainly use for that now. My Nikon D850 is still what I do most of my landscape work with, but mirrorless is encroaching on that. The majority of my family photography is done with mirrorless cameras. I picked up a Nikon 1 V1 when it was introduced several years ago as a way to travel light. While there is no doubt that the Nikon 1 system was truly compact, it just couldn’t compete against my DSLRs in terms of image quality. I was also disappointed in its interface, which was like a compact point and shoot camera. I also own two Fujifilm X bodies. For awhile, the Fuji X-T1 was my go-to travel camera, and it worked well for me. However I switched it out for a Nikon D750 a couple of years ago because frankly my kit wasn’t that much heavier overall and I preferred the 24MP FX sensor in the Nikon. I also agree with Rick’s earlier statement that the ergonomics of many mirrorless cameras are a bit more fickle as compared to my Nikon DSLRs. I still use a Nikon 1 V2 for my video podcasts (face-detection AF is great), and I converted my Fujifilm bodies to infrared. The live-preview and EVF is absolutely perfect for infrared shooting when I want to be able to know if a subject works well in IR. Nikon announced their long-awaited mirrorless camera system last week with the introduction of the Z6 and Z7 cameras and a brand new Nikkor lens mount. What feature(s) excited you the most? First, as a long-term Nikon guy (I got my first Nikon over forty years ago when I was fourteen), I’m happy to see them moving out on larger mirrorless cameras. For me, the Nikon 1 system was frustrating to watch, although I know there were R&D benefits that came out of it. I would have preferred to see Nikon start their FX mirrorless system years earlier. What I’m most interested in is the ability to use my existing Nikon lenses via an adapter that works in a consistent and transparent fashion. Although it’s possible to use Nikon lenses on mirrorless cameras, the best compatibility (Sony bodies with the Commlite adapter) is inconsistent. Some lenses focus well and some poorly. Canon lenses do a bit better due to their more electronic mount, but still have issues. I’m hopeful that Nikon achieves more with their own camera bodies and lenses, and the previews I’ve seen imply this is true. Married up with a high quality EVF, this should be a good combination. I’m also interested to see what Nikon is able to do with the new lens mount – it should increase their ability to create high quality, innovative lenses over time. Finally, the IBIS stabilization system that works with both new and legacy lenses should be fantastic. It’s a feature I’ve come to love on Olympus micro 4/3 bodies. If I were to summarize my thoughts toward the new cameras, I’m optimistic and excited. I’m not expecting perfection immediately, but I’m hopeful. I’ve been waiting to see what Nikon would do when they entered the mirrorless arena, and these two cameras look great. I’m really glad that they made a real effort to keep the handling and ergonomics in line with their existing DSLR bodies. I’m really glad that Nikon made the lens mount adapter for F-mount lenses, which makes features like stabilization (IBIS) possible with lenses that don’t have built-in VR. I’ve got a couple wide zooms and portrait primes that will greatly benefit from IBIS. The fact that a Z-mount lens supports f/0.95 isn’t too shabby, either! Are there features that aren’t in the new Z cameras that you wish Nikon had added? The two popular answers are a larger battery and two card slots, but to be honest, I’m not that passionate about either one. As I mentioned earlier, I don’t shoot in high volumes, and I know from personal experience that the battery capacity will be fine for me. I’ll take along an extra battery for a day’s shooting, but I won’t normally need it. Regarding card slots, I rarely use both slots, and I’ve never had a card failure since I started using digital cameras back in the early 2000’s. I understand that others have different views of these two items because of their preferences, but they’re “don’t care” items for me. I’m used to cameras having radically different autofocus patterns and features, so a difference in that area isn’t a big deal as long as they work well for what I’m doing. This one is a bit of a watch item for me. I’d like to see and hear more about the continuous focusing modes, especially those that cover more active subjects. What was disappointing to me was the absence of eye detection autofocusing. I’ve seen the benefits, and it can be helpful. Its absence isn’t the end of the world, but I’d like to see it appear in future firmware updates. On that note, I’m anticipating a higher than normal amount of firmware updates with these new cameras. Hopefully they’ll be fine-tuned as more and more photographers use them. If the other mirrorless cameras I use had stayed close to their original firmware configurations, they would have been somewhat frustrating to use. Nikon needs to be aggressive and responsive in this area. I’ll be honest, I kinda wanted to see a second card slot, but not for the reason you might think. When I’m traveling light, the easiest way for me to get images onto my iPad Pro is via an SD card. While I absolutely love the speed and reliability I get from XQD cards, that SD card is universally accepted. As for battery life, I will wait for real-world reviews using production models before I judge. Obviously, mirrorless systems can drain a battery far more quickly than a DSLR if you’re not mindful of power management in the field. I also would have preferred if Nikon had chosen to release more of a “trifecta” series of lenses for the initial release; wide-zoom, standard zoom, and tele-zoom. I’m also puzzled by the 12-bit RAW limitation for the maximum frame rate (12.5 fps). My D850 can shoot 9fps at 45 megapixels and 14-bit RAW with no issue, and the D500 delivers the same quality at 10fps. Not sure what happened there, especially when Nikon says they have a new EXPEED processing chip on these cameras. Since 1959, Nikon’s 35mm cameras have used the F-mount. Now with the Z-system Nikon has totally redesigned their 35mm format lens mount. What benefits will this provide Z-system users? I think the change in lens mount was a smart and necessary one. It was miraculous that Nikon kept the F-mount around as long as they did, but I was time to start moving on. The F-mount isn’t gone yet, but I would expect to see the bulk of their investment directed toward the Z-mount in the upcoming years. In terms of benefits, we’ll see improved optical quality, especially across the frame. We’ll also see some lens designs that are slightly more compact. The biggest benefits will be in quality, though. Don’t forget about that IBIS system improving the sharpness of images; an element of its effectiveness relates to the size of the lens mount. Let’s see: IBIS, f/0.95 glass, and edge to edge sharpness. Sounds awesome to me. I’m interested to see what kind of new technologies Nikon is able to put into their Z-Nikkor glass! What kind of photographer is the Nikon targeting with the Z-system, both in terms of photographic style and experience level? Short-term, it’s landscape, travel, family and portrait photographers who will benefit the most. The prices and feature sets are more for intermediate and experienced photographers. Because of the smaller initial lens selection, there is an implicit assumption these cameras are for existing Nikon owners who will adapt F-mount lenses. Longer-term, it’s anyone desiring a quality camera with good flexibility. In other words, it’s current DSLR users who are willing to change and try new things. Eventually, anyone. But as Rick points out, right now the camera and lenses are geared towards portrait/landscape/event shooters. More importantly, I strongly agree that the Nikon Z system is, at least for now, intended for existing Nikon owners who have some FX Nikkor glass. I can’t see a situation where someone would start from scratch with the Z system, invest in F-mount glass only to have to replace those lenses in a few years when the native lenses are released. If you need to shoot events in quiet spaces, this camera is going to rock. Are you planning on buying a Nikon Z camera? If so, which one? The Z7 appeals to me. I really want to get my hands on one of these to play with, because real-world AF performance is going to matter a lot for my wildlife and action photography sessions. Because I have a D850, there are only a few features (size, IBIS, EVF) where I’d be seeing a big difference compared to how I currently shoot. But if I were a Nikon user contemplating a D750, I’d be all over the Z6 right now. I always enjoyed and learned a lot from the Image Doctors podcast. When I bought my first DSLR, the D70s, back in 2005, I was looking for information to help me get the most out my new camera and discovered your podcast through Nikonians. I think I listened to every episode! Anyway, thanks for this post. It was great to hear both of your thoughts on the new Nikon mirrorless system. I just got my hands on a D850 and love it, but am interested in these new cameras as well. As a Nikon owner, I had put myself on the list for a Z6 since I did not have a high ISO camera like the D750. Then I saw the proposed lens road map and the 14-30. Fortunately, my local camera store had someone drop their order for a Z7 body so it was freed up to go to anyone. It has my name on it and arrives tomorrow. Won’t have the kit lens, only the 35 to start but it has the adapter. We are good to go – for awhile. I am not unfamiliar with mirrorless as I also currently use Olympus and Fuji. Thank you for your news letter, it is a very interesting discussion on the new Nikon Mirrorless. Also your write up using the auto button in the basic panel I have never bothered using it before, I have LR classic and have tried it on some raw files and are amazed at the results, as you say a little after adjustment and image is done. I have always been a Nikon user have two 810’s. Some years ago I did purchase a new fuji XPro 1 but on a lot of the images I was getting a painterly water colour effect not good at all, I soon got rid of it it was a waste of money. Thanking you and best wishes.